Sunday Bikes have released a full sneak preview of their 2019 Complete Bikes! 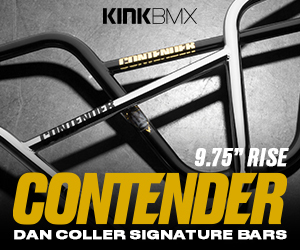 It seems like every new model year of complete bikes remind us that BMX bikes just keep getting better and better. The crew at Sunday Bikes have been working hard on their full range of 2019 complete bikes from their entry level Blueprint 16″ bike all the way up to the top of the line Soundwave Special complete and the Model C 24″ bike. As expected, they’ve done an amazing job with the design, spec, and colors and now you can get a sneak preview before they become available. You can check out each and every bike over on the Sunday Bikes Website Now!